The greatest way to achieve this is presenting knowledgeable speakers at the general meetings, such is Jason Bagley of Intel, who was speaker in December, and William Tully, Senior Manager of Security for Orbital Space Corporation, in January. William explained about PHISHING and said only good social skills, and not technical tools, are needed to save ourselves from those dangers. Simple ideas were given that can only help us, which we probably just needed reminded or made aware of. These speakers are busy people sharing their expertise, energy and time with us! Being able to attend and listen to these speakers is probably the biggest perk of being a member. Another one is the availability of many “Free” workshops we may attend. 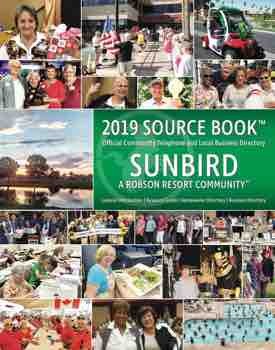 These workshops are announced at the general meetings, in posters at all three clubs, at the post office plus the Sun Laker, the Sun Lakes Splash and SunBird News area papers. An even better place to check out what’s new is the club’s website, www.computerbooters.org. There is always more that happens after this article has been submitted. Make a habit to check! Okay? One thing we can count on in life is “CHANGE!” Same goes for our scheduled “workshops.” It’s important to any interested workshop attendee to check the website for any changes, additions or cancellations. Listed are telephone numbers and email addresses for any questions that you may have concerning them. 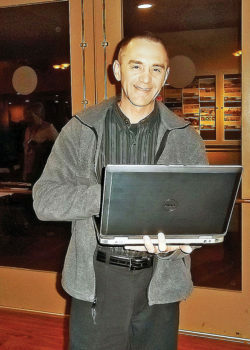 Technical Support is now offered “FREE” before each general meeting, 6:00-6:30 p.m., by Allan Levy, technical director. This is a first-come basis at a table at the back of the room. Allan is eager for you to use this service. February’s guest speaker will be Bob Gostischa, a longtime supporter/friend of our club. His topics have proved generous with information to keep our identity safe, staying safely online and tips to recognize outside computer dangers. He is a retired and enthusiastic IT security expert. Come and listen and ask questions. Some dates haven’t been set but will appear on our website, www.computerbooters.org, or phone Bill Phillips, class director. Call him at 480-895-8178 or email BILLPSR6@gmail.com. Bill suggests signing up early to secure your spot. Come early the first Tuesday of each month at 6:00 p.m. for cookies and coffee and meet other members while the meeting is being set up. Meetings begin at 6:30 p.m. to 7:30 p.m. at Sun Lakes Country Club’s Navajo Room, 25601 Sun Lakes Blvd., off of Riggs Road.